The trolls who live at Mount Baldy want a dog. 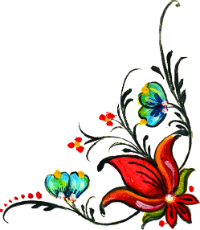 That’s where Treva’s trouble begins. When she sets off with her dog Tuffi to visit her cousin, the greedy trolls try to kidnap Tuffi. 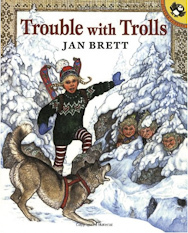 Treva is fast and outwits one troll after another, in another stellar outing by illustrator and storyteller Jan Brett.